K. R. Acharya, M. McBride, "Action of complex symplectic matrices on the Siegel upper half space", Linear Algebra and its Applications, Volume 563, 2019, Pages 47-62, https://doi.org/10.1016/j.laa.2018.10.021. K. R. Acharya, " A note on vector valued discrete Schrodinger operators", Nepali Mathematical Science Report, Vol 34 (2016), no 1&2, 1-10. K. R. Acharya, “Titchmarsh-Weyl theory for canonical systems”, Electronic Journal of Differential Equations, Vol. 2014 (2014), No. 248, pp. 1–13. 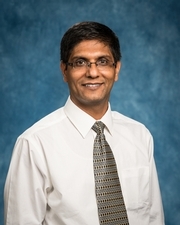 2015-present, Assistant Professor, Department of Mathematics, Embry-Riddle Aeronautical University, Daytona Beach, FL. 2013-2015, Lecturer, Department of Mathematics, Kennesaw State University-Marietta Campus, Marietta, GA.
2007-2013, Teaching Assistant, Department of Mathematics, University of Oklahoma, Norman, OK.
2006-2007, Lecturer (Part-Time), Central Department of Mathematics, Tribhuvan University, Kathmandu, Nepal. 2001-2003, Chair, Department of Mathematics, Sainik Awasiya Mahavidhyalaya, Sallaghari, Bhaktapur, Nepal. 1998-2003, Post Graduate Teacher, Sainik Awasiya Mahavidhyalaya, Sallaghari, Bhaktapur, Nepal.